The economic value of digital technology use within arts/cultural organisations in the Netherlands. My research looks at the innovations which these digital technologies are generating and how these are changing and shaping the social and cultural values of arts/cultural organisations in the Netherlands. Youn Sun Won is currently a PhD student under Arjo Klamer’s supervision at the Erasmus School of History, Culture and Communication at Erasmus University Rotterdam, The Netherlands. In her PhD research she explores the role of social and cultural capital in the South Korean creative economy. She is trying to develop a formula for a growing creative economy incorporating economic, social and cultural values. 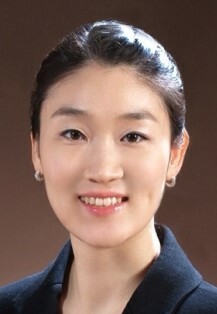 She holds a Master’s degree in the Performing Arts Studies, with a focus on the sociology of arts from Seoul National University, was trained in Arts Administration, Cultural Policy, and Strategic Planning in governmental organizations. She lectured Theater Management, A critical analysis of performing arts studies, and Musical Studies at Chung-Ang University in Korea. She also holds a BA in Mathematics, and French Language and French Literature. She is the mother of one child. Thora Fjeldsted has been working towards a PhD degree under the supervision of Arjo Klamer since 2011. The topic of her thesis is the destiny of the human body and effort in economic theory, and her research is grounded in the interplay of economics, crafts and sports. In the theoretical realm, these concerns translate into the study of production, the disutility of work, values, and social wealth. She holds a BA from the University of Iceland and an MA from New York University. She conceived and co-directed the 2003 full-length documentary film Mótmælandi Íslands and released in 2006 the short documentary The rather nostalgic smell of the countryside about farming in Iceland. Since October 2010, he is holding a position as PhD candidate in the School of History, Culture and Communication, EUR, The Netherlands. The title of his research is “The Culture of Crafts in India: A case for liberalization”. He deconstructs the social and economic institutions that contribute to a robust craft economy with the cultural economic perspective to suggest a reform agenda. His research is supervised by Prof. Arjo Klamer. Policy formulation, Business models, Craft Cluster Management, Public Private Partnerships in Crafts. Lyudmila Petrova is a co-founder and a director of the CREARE Summer School of Cultural Economics . She holds a MA in cultural economics and cultural entrepreneurship and is an active member of the cultural economics community. She is pursuing her PhD thesis on institutional change and artistic creativity and innovation at Erasmus School of History, Culture and Communication (ESHCC), Rotterdam, the Netherlands. She is also graduated in marketing and management studies at University of Economics Varna, Bulgaria and in cultural studies at New Bulgarian University, Sofia, Bulgaria. Being passionate for arts, she is teaching and worked on various international researches in the areas of areas of creative economy, cultural industry, financing of the arts, creativity and innovation, and international cultural policy. She has publications in related to her research topics in various books and international journals; among the others, Journal of Cultural Economics, The Journal of Art Management, Law and Society, Japanese Journal of Cultural Economics, as well as regularly presenting at international seminars and conferences (of the Association of Cultural Economics International, of Cultural Policy Research, of Arts and Cultural Management, to name some). My PhD research title is ‘The interaction among values in cultural goods’. From cultural economic perspective, I use ceramics as example to explain how values of goods work in cultural and social contexts. And due to the industrial-made things and commercialization are threating the balance between values in the sector of hand-made ceramics. I try to from cultural economic perspective provide suggestions for the refocusing of craftsmanship and the strengthening of the crafts culture. John Verhoeven studied Management Science at the Radboud University of Nijmegen. He currently lectures Music Marketing, Branding and Business model innovation at the ‘International Event, Music and Entertainment Studies’-department of the Fontys Academy for Creative Industries. He is also a recording and live performing artist and is chairman of a newly founded pop stage in his hometown. 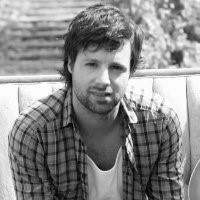 John’s PhD research is about the fast changing music industry and the effect of these changes on the value of music. He not only states that the production, distribution and consumption of (popular) music have changed, but also the manner how music is appreciated, valued and monetized. This calls for new research in order to shape the future of an industry that desperately is looking for answers. John, as a musician himself, likes to use the artist perspective in order to get deeper insight into the effects of the digital revolution on artists and their music. After completing his Master’s thesis on “Collaboration among Museums” with Arjo Klamer, J. Aldo Do Carmo is continuing with PhD research on “Evaluation of Cultural Initiatives” where he will discuss a logical model of cultural-value creation. He intends to propose a systematic method to evaluate the effectiveness of cultural and artistic production, comparing purposes to achievements, investigating the outputs (short-term results) and outcomes (long-term changes or impacts) in the cultural and social milieus. He holds a Master’s degree in Cultural Management from University of Bologna (Italy), and is trained in Strategic Planning, Marketing and Business Management. Do Carmo also holds a degree in geology from Universidade de Säo Paulo (Brazil), and has 15 years of corporate working experience. On May 25th a few of us attended an impressive service in a packed church. Unbelievable how many Claudine knew. We know her as a social and engaging person, but she has been so social and so engaging . . . It was moving. And it was a true tribute to her life and her contributions to the world of the arts. Met droevenis hebben wij kennis genomen van het overlijden van provomenda Claudine Hoogeveen-de With. Claudine werkte met professor Arjo Klamer van ACW aan een proefschrift over de relatie tussen kunstenaars en bankiers. Het proefschrift kwam in een finale fase juist toen ze ziek werd in januari 2016. Claudine was een bijzondere collega, altijd vrolijk en optimistisch, zoekend naar de verbinding. Haar man ontmoette ze toen ze voor ACW onderzoek in Maastricht moest zijn. Ze was initiatiefnemer van de Jong Rembrandt Vereniging en had grote plannen voor de kunstwereld. Ze werd 35 jaar oud, te jong om haar ambities te realiseren. We wensen haar man en haar ouders veel sterkte in het verwerken van dit grote verlies. Trained as an art historian, Claudine de With is currently a PhD student at the Faculty of History and Arts at Erasmus University Rotterdam, the Netherlands. Her research examines the dynamic relationship between artists and patrons in different times and cities. Its central theme is that there is no strict separation between the two, as is often assumed, but that the world of art and the world of finance are mutually dependent while off course also retaining their autonomy. The world of art and the world of finance are deeply entangled from the fifteenth century up to the twentieth first century. Her interests are the interconnections between painting and the ‘sister arts’: literature, film, rhetoric and fashion, as well as the history of ideas. Claudine de With holds a MA degree in Art History from the University of Leiden and is the co-founder of a creative consultancy firm called aumuse research and consultancy.